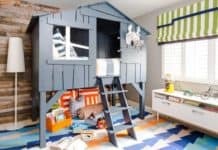 If you are wondering how to create a fun and comfortable bedroom for the little girl in your life here are 10 creative kids room décor ideas just for little and not-so-little girls. 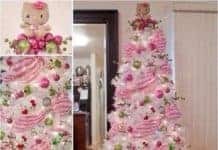 Hello Kitty is popular with little girls and teens alike and creating a Hello Kitty room is really quite simple. 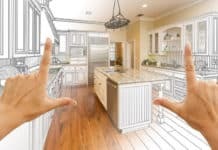 Try painting the walls a very pale gray, and put pink carpeting on the floor. 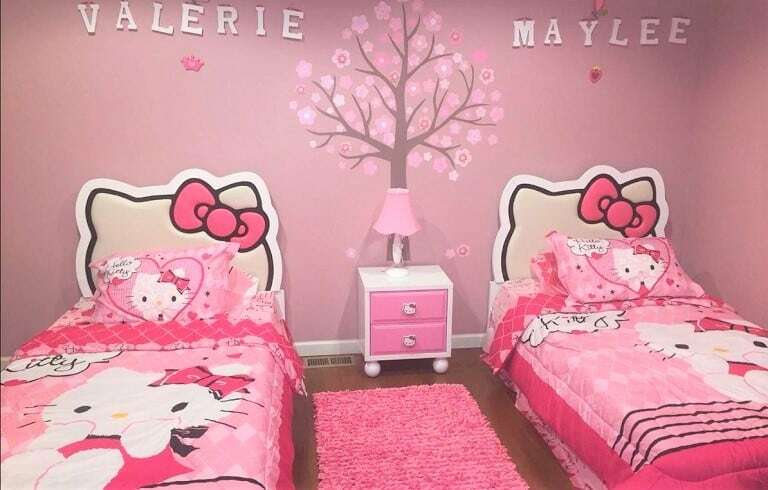 Add a slew of Hello Kitty wall decal or stickers on the walls, a pink bedspread, and one or two Hello Kitty pillows for a little added fun and the room is pretty much complete. Girls of all ages love butterflies and flowers so this is one of the better kid’s room décor ideas that can grow with your child. Choose a neutral wall and carpet color and then put butterflies on the wall. You can use wall stickers or those 3D butterflies used in home décor. Stencil butterflies and flowers on the footboard and headboard of your kid’s bed and other kid’s furniture. 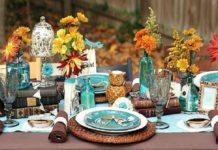 Add a quilt and pillows to match your theme and some pastel colored curtains or blinds. Add a desk for older girls or a play table for younger ones. 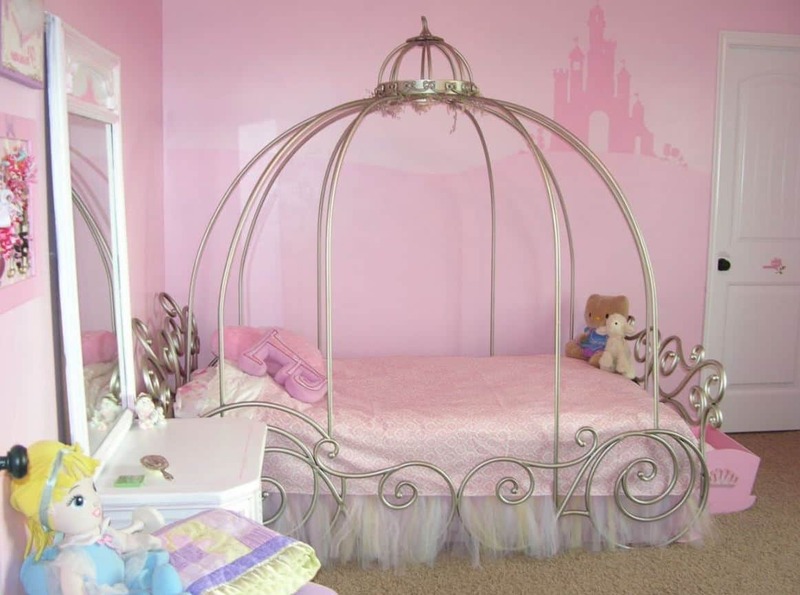 Little girls love princesses and fairies and either or both of these themes can make for a great girl’s bedroom décor. Stick to pastel colors for the walls and the floors and hang lacy curtains on the windows. You can either purchase a kid bed shaped like Cinderella’s pumpkin, single and bunk beds that look like a castle or, simply use princess or fairy quilts to add to your theme. Put up a shelf and line up the Disney princesses or some fairies on the shelf and stencil the kid’s furniture with flowers; now you have created a room your little girl is sure to love. Turn your little girl’s room into a frosty oasis with an ice castle theme. 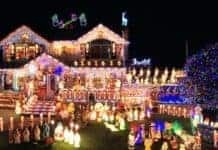 Paint the walls a frosty blue and hang white icicle lights so they dangle from the ceiling. 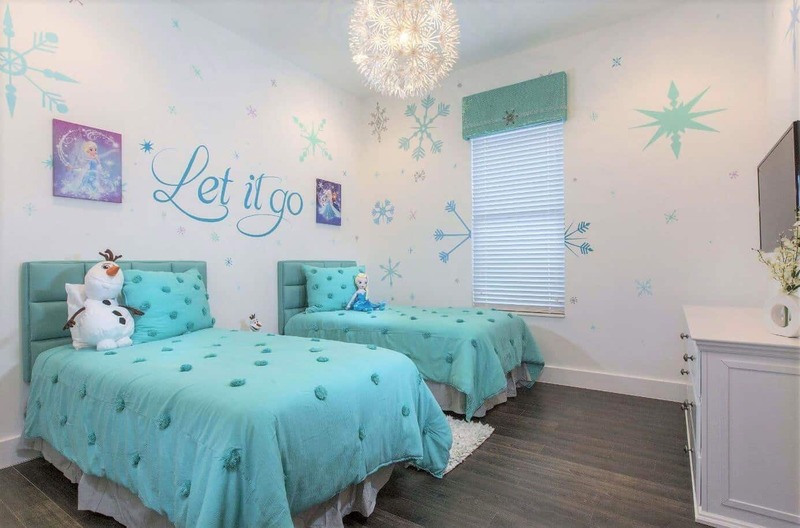 Add some kid friendly glacier wall stickers (there are even some for the floor), a clear acrylic desk or table and chair, white furry area rugs and bedspread and your little one will feel like an ice princess each time she steps into her room. Many girls like stuffed animals and even collect them so why not use that collection as the beginnings for a zoo-themed girl’s room. You can paint the walls any color your child likes and put up some shelves to hold some of her stuffed animals. Use a fur-like spread on the bed and a fur rug on the floor. 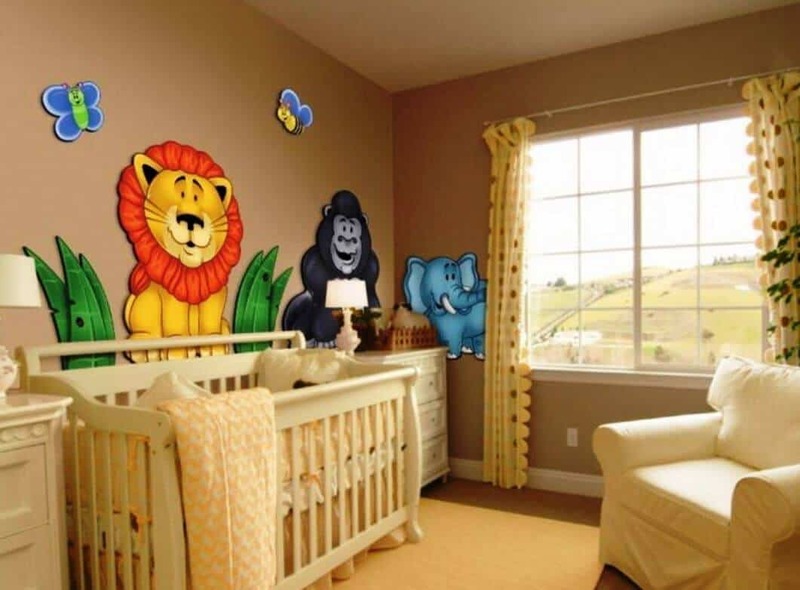 Use animal wall stickers or pictures of some of your child’s favorite animals to decorate the walls. 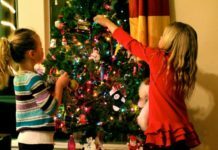 And put one or two of your child’s favorite stuffed animals on her bed or bunk beds. Some colorful curtains and some accent pillows and you have created a comfortable room for less than you might think. 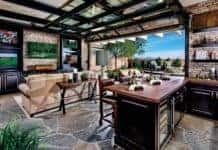 If your daughter loves to draw, write poetry, make jewelry or dreams of becoming a fashion designer creating a room that will allow her creative juices to flow will make for a great bedroom. Lay down one-foot squares of various carpeting to create a texture rich environment. Paint the walls a color your child finds stimulating and provide frames for her art work or poetry, hooks for her jewelry and a table with a draw for her creative supplies. You can use a rainbow of colors to paint the kid’s beds in her room as well as the dresser and even the closet door to further inspire her. Many girls love horses and even dream of owning their own horse one day. Creating a bedroom perfect for a horse loving girl is relatively simple. There are a number of different horse wall stickers your daughter can choose from to decorate her room. You can even get horse shoe stickers to put on the bedroom door for luck. Add some matching bedding for your kid’s beds, a horse head lamp and a couple of accent pillows and the room will come to life for your little horse woman! 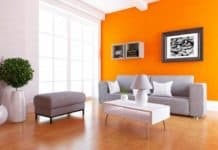 If you have a child that loves bright colors and lots of them then why not create a room with every color under the rainbow. Pale blue walls with a rainbow painted over the bed, a colorful quilt and several colorful accent pillows will set the mood. Choose one primary color for the kid’s bed, dresser and other furniture and another primary color for the bedroom curtains. Tween and teenage girls often want a bedroom that is not only comfortable, but feminine. Feminine bedrooms don’t have to be done all in pink so, for example you can create a feminine bedroom in turquoise which can add a bit more interest to the bedroom. Try painting the walls white and the ceiling turquoise with white stripes. White furniture, turquoise bedding and a colorful rug makes for a nice feminine look. Add a mirror, some interesting pictures and lacy curtains and the room will also be relaxing. If the room is small, you can use a loft bed and create a sitting area under the bed to add more comfort to the room. As your daughter grows, she will want her room to echo her growing maturity. 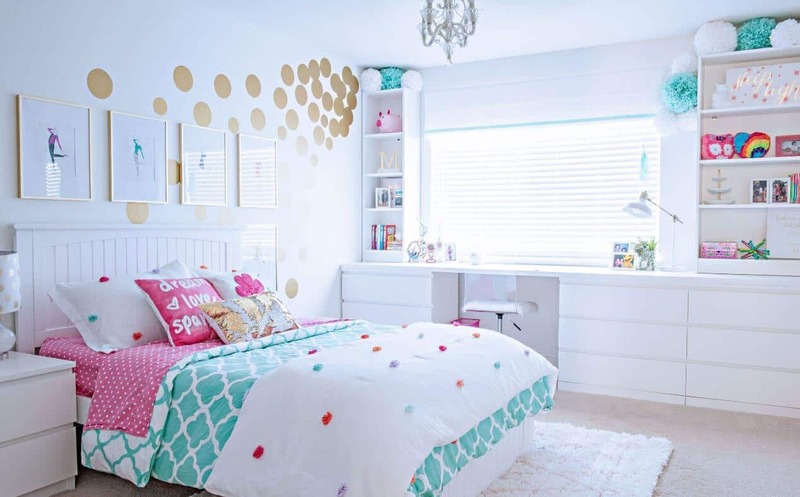 Creating a soft and sophisticated décor for your older child’s room will create a comfortable place for your daughter to study, relax and spend time with friends. You can provide your daughter with a bed/sitting room that she will love. Choosing a white or pale-yellow wall will give you a blank canvas for the room’s décor. Allow your daughter to choose the art work, posters or other objects to decorate the walls with. A day bed will provide your daughter a comfortable place to sit and to sleep. Add a study desk and chair, a large mirror and make sure there is plenty of storage space and let your daughter add her own special touches. Making your girl’s bedroom a place where they can dream and relax will give them a space of their own where they can feel comfortable and secure.